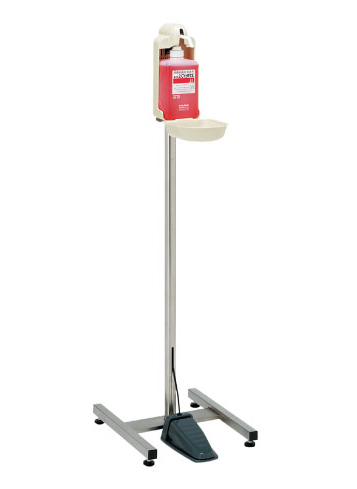 • No electric supply necessary: Operated by foot pump, the dispenser can be placed virtually anywhere. • No waste of chemicals: The dispensers delievers approx. 1.2 mL of solution at one time. 3 to 4 dispenses are enough to get sufficient amount to sanitize both hands.